Today we are going to Munich (Germany), but first we detour to Salzburg to go to Mirabell garden where “The Sound of Music” was filmed. The bus ride from Vienna to Salzburg was beautiful and the weather was colder than the previous days. On our way to Salzburg we stopped at a small city for early lunch in a chinese restaurant. Mirabell Palace and gardens, Salzburg. 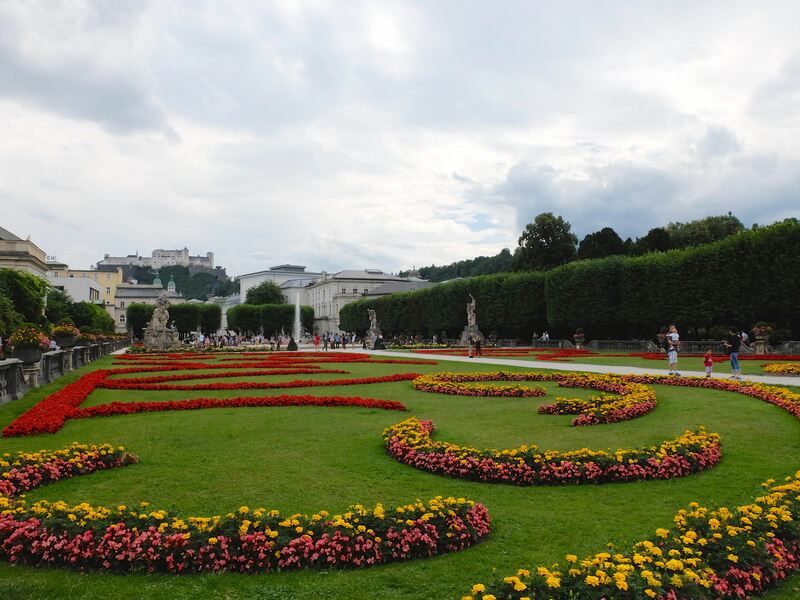 Several scenes from The Sound of Music were recorded in Mirabell Palace and gardens. Maria and the children sing ‘Do-Re-Mi’ while dancing around the horse fountain and using the steps as a musical scale. After visiting the beautiful garden and taking photos of bees around the flowers, we walked to the altstadt or the old town area of Salzburg. 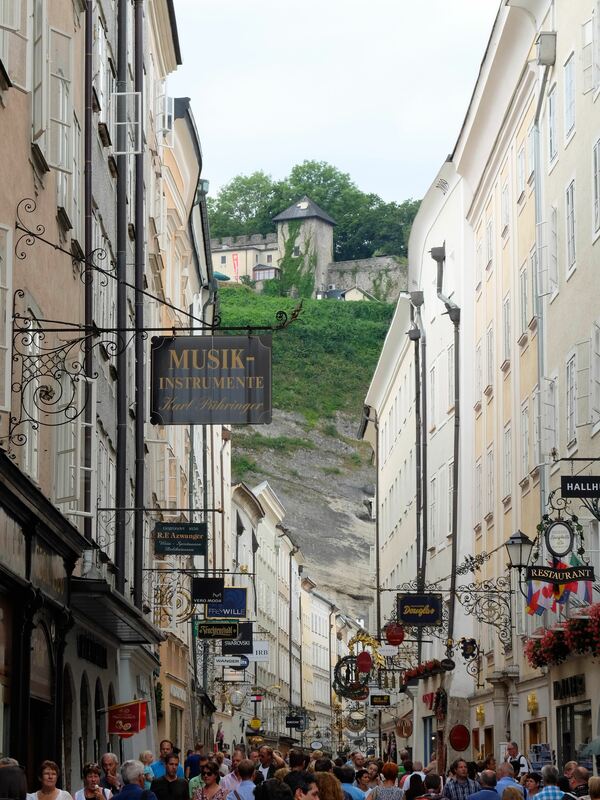 The Altstadt of Salzburg. On this road (left side) there is a house where Mozart was born. 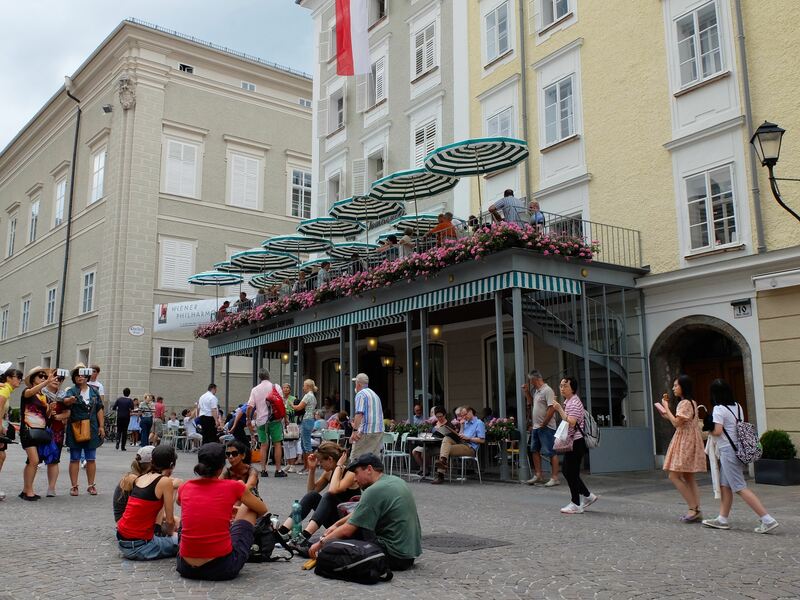 The old town area of Salzburg, here you’ll find many branded stores such as Hermes, Prada, also cafés. 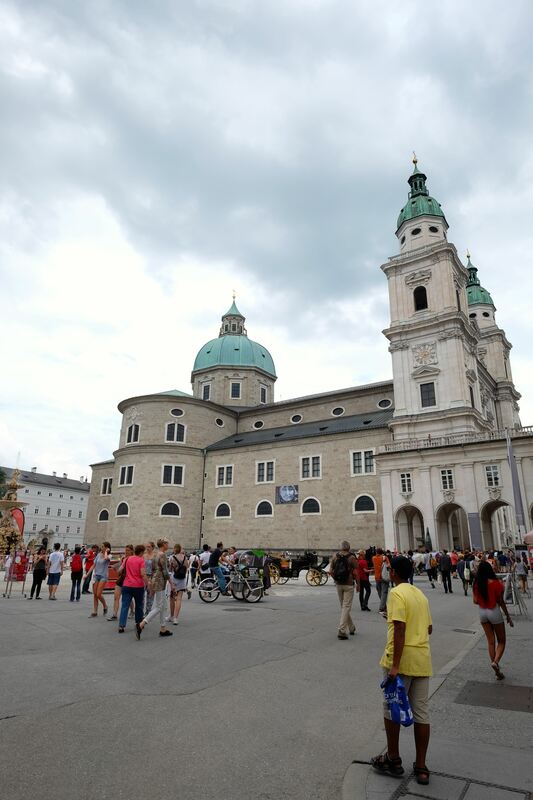 The main building around the old town area of Salzburg is Salzburg Cathedral. Founded by Saint Rupert in 774 on the remnants of a Roman town, the cathedral was rebuilt in 1181 after a fire. In the seventeenth century, the cathedral was completely rebuilt in the Baroque style under Prince-Bishop Wolf Dietrich Raitenau to its present appearance. Salzburg Cathedral still contains the baptismal font in which composer Wolfgang Amadeus Mozart was baptized. It was raining when we walk back from the old town to the bus, luckily not heavily. On such a colder day compared to previous days, I slept on the bus until we arrived in Munich, Germany. Munich is the capital and largest city of the German state of Bavaria, on the banks of River Isar north of the Bavarian Alps. Munich is the third largest city in Germany, after Berlin and Hamburg, with a population of around 1.5 million. The Munich Metropolitan Region is home to 5.8 million people. The name of the city is derived from the Old/Middle High German term Munichen, meaning “by the monks”. It derives from the monks of the Benedictine order who ran a monastery at the place that was later to become the Old Town of Munich; hence the monk depicted on the city’s coat of arms. The city became the Nazi movement’s infamous Hauptstadt der Bewegung (lit. : “Capital of the movement”), and after post-war reconstruction was the host city of the 1972 Summer Olympics. We have our dinner in chinese restaurant (again) in Munich and directly go to our hotel for rest. 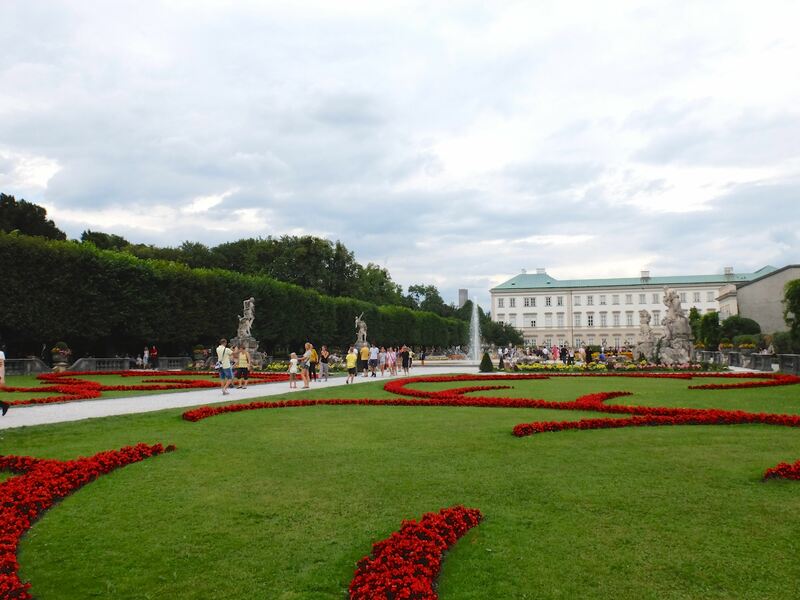 This entry was posted in Eastern Europe, Travel and tagged born, cathedral, gardens, house, mirabell, mozart, old town, palace, salzburg, sound of music, Travel, trip. Bookmark the permalink.